I am having this weird problem. 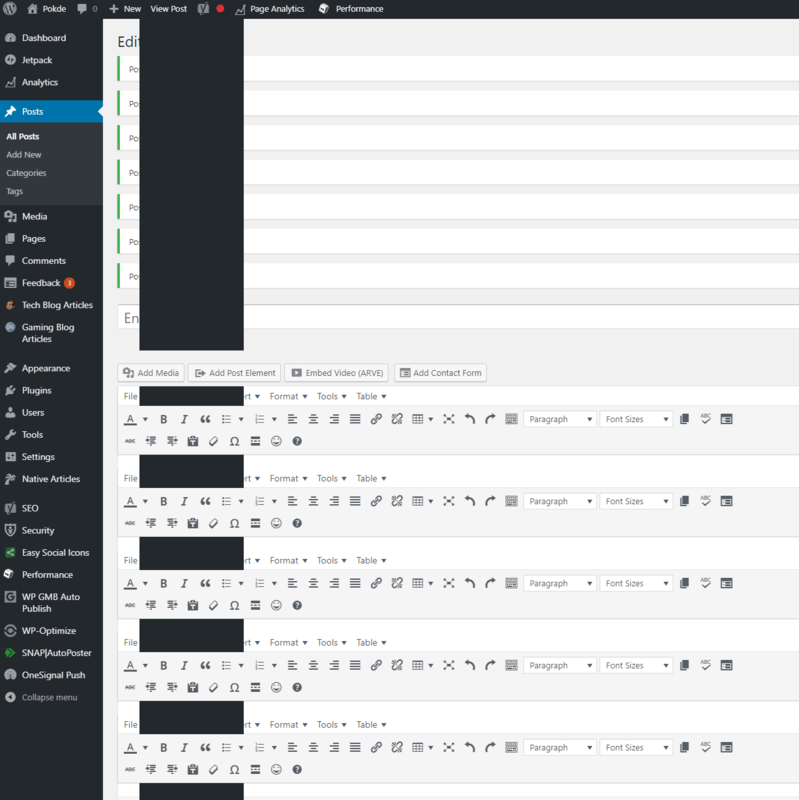 Everytime I save a draft, the sidebar's black area appears and overlaps the editor making the editor unusable. It also attempts to save the draft repetitively and the only way to get out of it is to refresh the page. Kindly refer to the following image. author of WP Native Articles here. This is normally a problem with other plugins incorrectly messing around with tag incorrectly and preventing it from setting the correct URL. If you save this code below as a separate file, upload it as a plugin and activate it it should fix it. * Description: Fix the base URL meta field that other plugins break. Okay, I found out! It was caused by WP Native Articles' Premium plug-in. I'm now talking to the developer and if there is anything concrete, I will update here. Not the answer you're looking for? Browse other questions tagged post-editor draft or ask your own question.